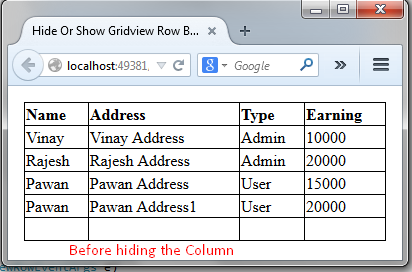 This article will show you how you hide or show gridview row by column name at runtime in asp.net using c#.net. In this we will display to bind value total at run time in asp.net using c#.net. 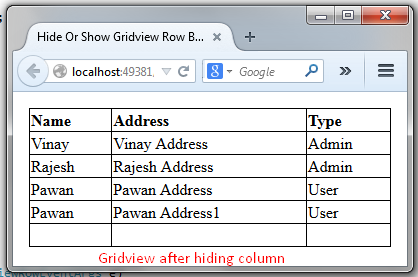 <asp:GridView ID="GridView1" runat="server" Width="100%" AutoGenerateColumns="False"
In above code I have use itemtemplate to bind the gridview fields and used label control to display the value using Eval. In this i have provided value to each and every header. I will detect the header and make it hidden at run time. On above code I have used a function to bind the data. Now I have I have added code to hide column by using . Now check the below code to hide the column at run time. In above code I have hide the linq query to hide the column by name. 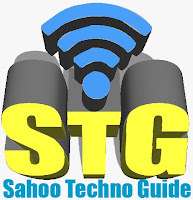 Now we have done run the application to check the output. Here is the output without displaying hiding the column. Here is the output with hidden column.